By the end of February, the Japanese were in control of most of Dutch Timor and the area round Dili in the north-east. The Australians remained in the island’s south and east, however. The 2/2nd Independent Company was trained for stay-behind operations and had its own engineers and signallers, although it lacked heavy weapons and vehicles. The commandos were hidden throughout the mountains of Portuguese Timor, and now began a programme of raids with the aid of Timorese guides and carriers, and a heavier transport capability provided by mountain ponies. Though the Portuguese officials led by the governor Manuel de Abreu Ferreira de Carvalho remained technically neutral and in charge of civil affairs, both the Portuguese and the indigenous East Timorese were in general pro-Allied and made it possible for the Allies to use the local telephone network to communicate and thereby gather intelligence on Japanese movements. The Allied forces lacked any working radio equipment, however, and were therefore unable to contact Australia to forward information of their continued resistance. Doi sent the Australian honorary consul, David Ross, to find the commandos and deliver a demand that they surrender. 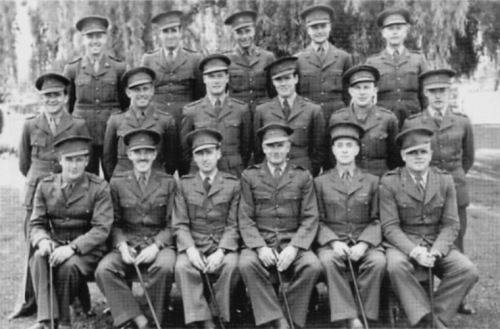 Spence refused, and Ross provided the commandos with information on the disposition of Japanese forces and also delivered a note in Portuguese, stating that anyone supplying the commandos would be later reimbursed by the Australian government. At a time early in March, the forces of Veale and van Straten joined the 2/2nd Company, and a working radio set was improvised to allow contact to be re-established with Darwin. By May, therefore, Australian aircraft were dropping supplies to the commandos and their allies. The Japanese now despatched to Timor an experienced veteran of the Malayan campaign, a major known to history only as ‘The Tiger of Singapore’, and on 22 May this officer led a Japanese force toward Remexio. With Portuguese and Timorese assistance, the Australians ambushed this Japanese force and killed four or five of the Japanese soldiers, and then in a second ambush an Australian sniper shot and killed the ‘Tiger’. Another 24 of its soldiers were also killed, and the Japanese force fell back to Dili. On 24 May, Veale and van Straten were evacuated from the south-east coast by a Consolidated Catalina flying boat of the RAAF, and Spence became commanding officer with a promotion to lieutenant colonel. On 27 May launches of the Royal Australian Navy completed the first supply and evacuation missions to Timor. MacArthur, now commanding the South-West Pacific Area command, was advised in June by General Sir Thomas Blamey, the Allied land force commander, that a major Allied offensive in Timor would require a large-scale amphibious assault including at least one infantry division. As a result of this stated requirement and the overall Allied strategy of recapturing areas farther to the east, Blamey recommended that the current campaign in Timor should be maintained for as long as possible, but not expanded, and this recommendation was adopted. Relations between Ferreira de Carvalho and the Japanese deteriorated. The telegraph link with the Portuguese government was cut, and during June 1942 a Japanese official complained that the governor had rejected Japanese demands to punish Portuguese officials and others who had aided the Australian ‘invading army’. On 24 June, the Japanese formally complained to Lisbon, but took no concrete action against Ferreira de Carvalho. Doi once more sent Ross with a message, complementing the Sparrow Force on its campaign so far, but again demanding its surrender. Doi added that the Japanese were receiving reinforcements and would soon be in a position to field the units necessary for a military victory. Ross did not return to Dili, but was instead evacuated to Australia on 16 July. In August, Lieutenant General Yuitsu Tsuchihachi’s 48th Division started to reach Timor from the Philippine islands group and garrisoned Kupang, Dili and Malacca, relieving the ‘Ito’ Detachment. Tsuchihashi then began a counter-offensive in an attempt to push the Australians into a corner on the south coast of the island, and as part of this effort powerful Japanese columns moved to the south in the form of two from Dili and one from Manatuto on the north-east coast. Another moved to the east from Dutch Timor to attack Dutch positions in the island’s central southern area. The offensive ended on 19 August when the main Japanese force was withdrawn to Rabaul, but by this time the Japanese had taken the central town of Maubisse and the southern port of Beco. The Japanese were now additionally recruiting useful numbers of indigenous civilians, who provided intelligence on Allied movements. Meanwhile, late in August, a parallel conflict began when the Maubisse area rebelled against the Portuguese. In the course of September the main strength of the 48th Division started to reach Timor in order to take over the conduct of the campaign. The Australians also sent reinforcements in the form of the 450-man 2/4th Independent Company (Lancer Force), which reached the island on 23 September. The Australian destroyer Voyager ran aground at the southern port of Betano while landing the 2/4th Independent Company, and had to be abandoned after she had come under air attack: the ship’s crew was evacuated by the corvettes Kalgoorlie and Warrnambool on 25 September, and the destroyer was scuttled with demolition charges. On 27 September, the Japanese drove forward from Dili toward the wrecked Voyager, but achieved no significant success. By October, the Japanese undertaking to recruit significant numbers of Timorese civilians had achieved a measure of success, but these Timorese suffered heavy casualties when used in frontal assaults against the Allies. The Portuguese were also being pressured to assist the Japanese, and at least 26 Portuguese civilians were killed in the first six months of the occupation, including local officials and a Roman Catholic priest. On 1 November, the Allies agreed to issue weapons to Portuguese officials; a policy which had previously been carried out on only an informal and sporadic basis. At around the same time, the Japanese ordered all Portuguese civilians to move to a so-called neutral zone by 15 November, and added that those who did not do so would be considered as aiding the Allies. This succeeded only in encouraging the Portuguese to work more closely with the Allies, who were asked to evacuate some 300 women and children. Spence was evacuated to Australia on 11 November, and Major Bernard Callinan, the commander of the 2/2nd Independent Company, then became the Allied commander on Timor. On the night of 30 November/1 December, the RAN landed fresh Dutch troops at Betano and evacuated 190 Dutch soldiers and 150 Portuguese civilians. The auxiliary patrol boat Kuru was used to ferry the passengers between the shore and the corvettes Armidale and Castlemaine. Carrying the Dutch reinforcements, the former was sunk by Japanese aircraft and almost all of those on board were lost. By the end of 1942, the chance of any Allied recapture of Timor were decidedly remote as there were now 12,000 Japanese troops on the island and the commandos were coming into increasing contact with the enemy. The Australian chiefs-of-staff estimated that it would take at least three Allied divisions, with strong air and naval support, to retake the island. At the same time the Japanese efforts to wear down the Australians and to separate them from local support were becoming more effective, and the commandos were finding it increasingly difficult to maintain their operations. Likewise, with the Australian land forces fighting a number of costly battles against the Japanese beachheads around Buna in New Guinea, there were no longer resources sufficient to allow the continuation of useful operations in Timor. As a result, Australian operations on Timor were steadily decreased from a time early in December. On 11/12 December, the all the remnants of the original Sparrow Force except for a few officers were evacuated, together with a number of Portuguese civilians, by the Dutch destroyer Tjerk Hiddes. During the first week of January 1943, it was decided to withdraw Lancer Force, and during the night of 9/10 January most of the 2/4th Independent Company and 50 Portuguese were evacuated by the Australian destroyer Arunta. A small intelligence team (S Force) was left, but its presence was soon detected by the Japanese. Using ‘folboat’ collapsible kayaks, and in company with the remnants of Lancer Force, S Force made its way to the eastern tip of Timor, where the Australian and British Z Special Unit was also operating, and were evacuated by the US submarine Gudgeon on 10 February. Some 40 Australian commandos were killed during this phase of the fighting, in which it is believed that the Japanese lost as many as 1,500 men. 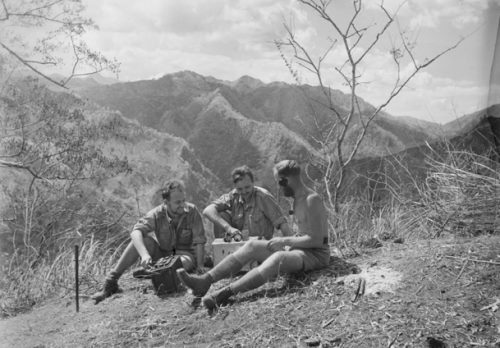 While the campaign on Timor had possessed no real strategic importance, the Australian commandos had prevented an entire Japanese division from being used in the earlier phases of the New Guinea campaign, and had inflicted a disproportionate level of casualties on them. In contrast with those in Java, Ambon and Rabaul, Australian operations in Timor had been considerably more successful. They had also proved that in the right circumstances, unconventional operations could be both versatile and more economic than conventional operations, for which the Allies currently lacked the resources. Most civilian deaths, estimated variously at figures between 40,000 and 70,000, resulted from Japanese reprisal operations. The Japanese remained in control of Timor until their surrender in September 1945. On 5 September 1945, the Japanese commander met the Portuguese governor, Manuel de Abreu Ferreira de Carvalho, effectively returning power to him and placing the Japanese forces under Portuguese authority. On 11 September, the Australian Timor Force arrived in Kupang harbour and accepted the surrender of all Japanese forces on Timor from the latter’s senior officer, Colonel Kaida Tatsuichi of the 4th Tank Regiment. Australian troops then organised the disposal of arms by Japanese work parties before returning to West Timor for the surrender of Lieutenant General Yamada Kunitaro, commander of the 48th Division.